I guess, most of us have had moong dal chillas at some point in our lives. It is one of the recipes for healthy yet tasty breakfast. However I wanted to experiment with the traditional recipe. Since beetroots blend in everywhere, I chose to add its puree to the chilla batter. Thus increasing the nutritional value of this recipe. Since this was to be my lunch, I wanted to make it more filling. So I decided to stuff the chillas with some veggies available at home. 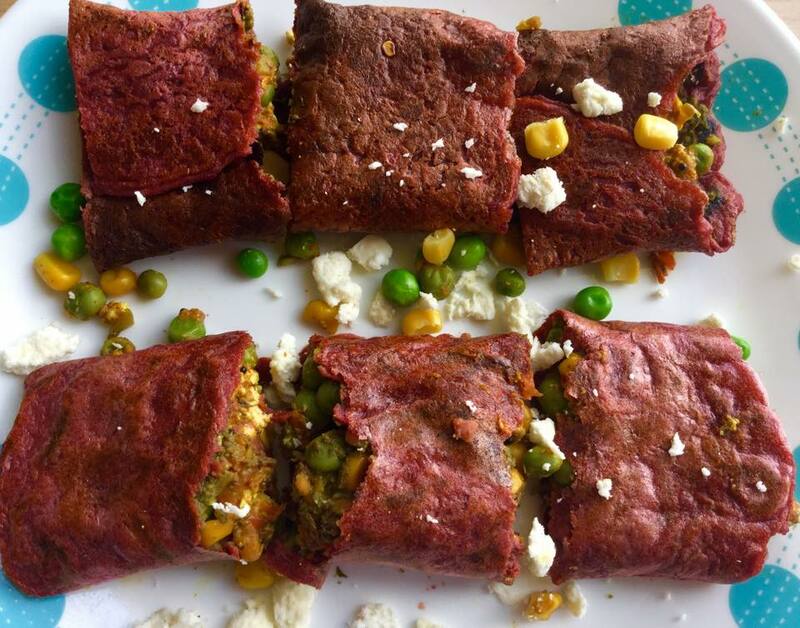 Cottage cheese/Paneer make an excellent stuffing and contain good amount of protein in them. 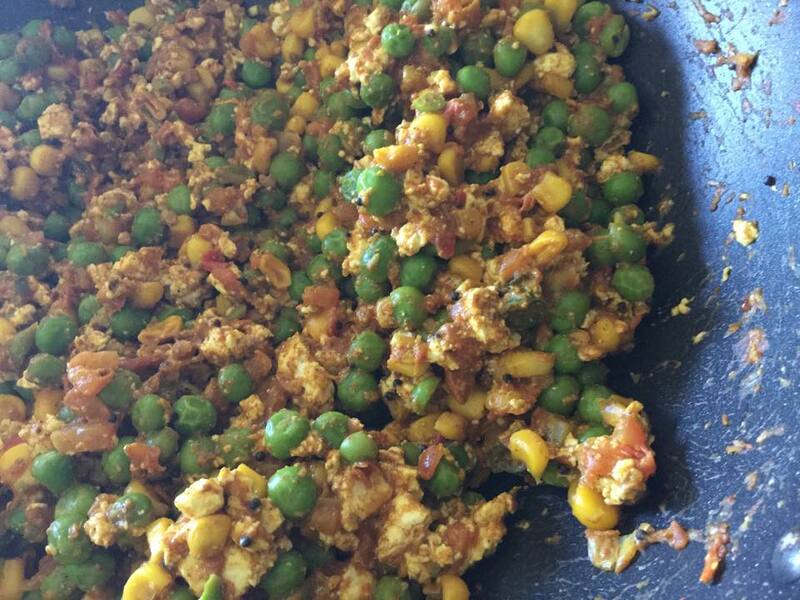 Since I had some paneer, green peas and corn, it formed my stuffing. I purposely avoided using potatoes as I wanted to keep this healthy and nutritious. 🙂 This was even more special because I used our home grown green chillies. You can add any other puree to the chilla batter like spinach or carrots. Not only will they be colorful but nutritious as well. Perfect for fussy eaters and kids! After all who can resist such colorful chillas. As far as the stuffing goes, feel free to use your imagination. 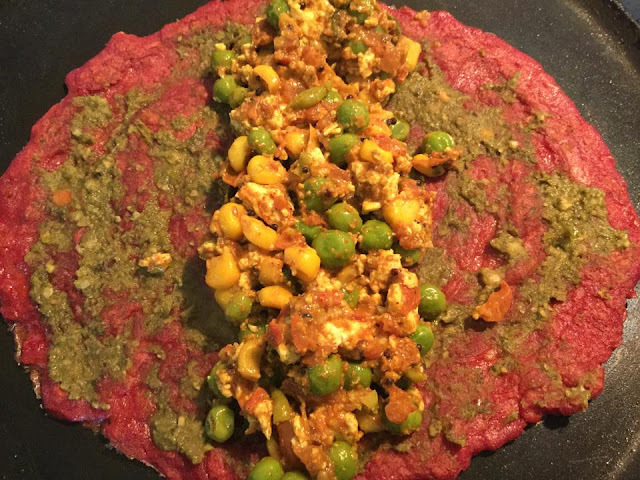 You can use any green chutney of your liking. I used the Lettuce leaves chutney. Link to that is given below. 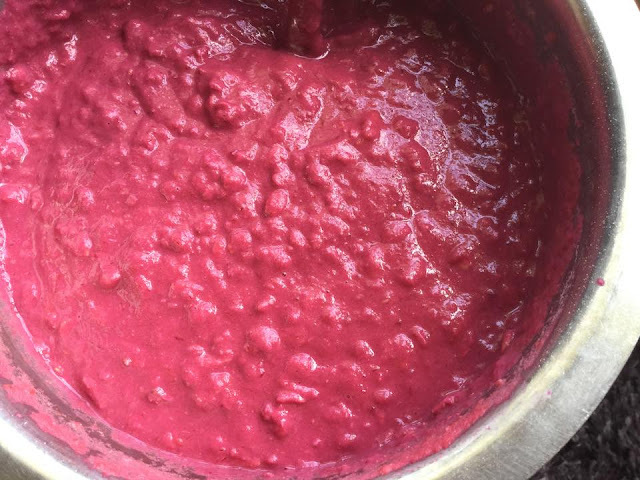 Boil the beetroot with little salt and turmeric powder. Once boiled, peel it and cut them in chunks. 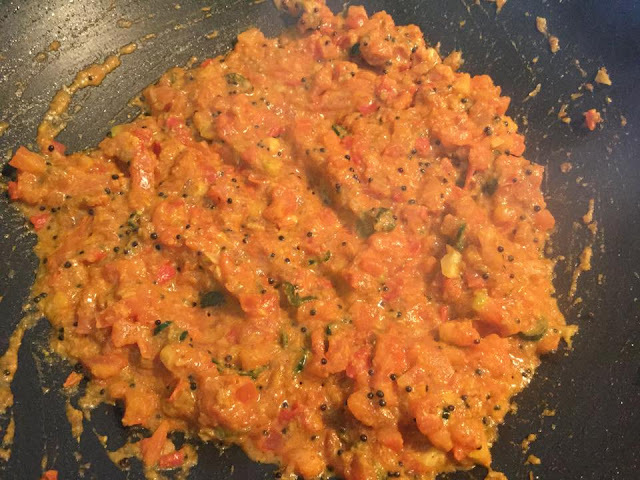 Soak Moong dal for 2-3 hours. Strain the moong dal. 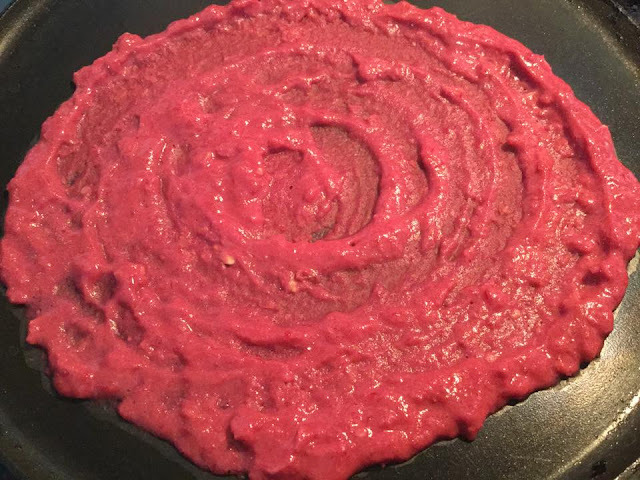 Grind the dal, beetroot, onion, garlic, ginger and red chillies together to form a smooth batter. Add oats flour, flax seed powder, salt, asefotida and besan to this batter. Mix it all well. It should be dosa batter consistency. I added regular oats hence my batter looks like this. But you can add oats flour instead. In a microwave safe bowl, add the frozen peas and corn along with water and salt. Cook in the microwave for 8 minutes. Strain the water keep this aside. In a non stick pan, add 1 tbsp oil. Temper the mustard and cumin seeds. Fry the garlic and green chillies for a minute. Add the chopped tomatoes and cook till it turns pulpy. Add all the seasonings and mix well. Now add the corn and peas. Saute it for 2 minutes. Lastly add the paneer and mix it lightly. Cook it for a minute more. It will look like this once done. You can cilantro as garnish on this if needed. In a nonstick tawa, add a laddle of the batter and spread it like a dosa. Drizzle some oil on all sides. Leave it for a minute to cook well. Cook it on both sides. Then on any cooked side, spread the green chutney all over it. 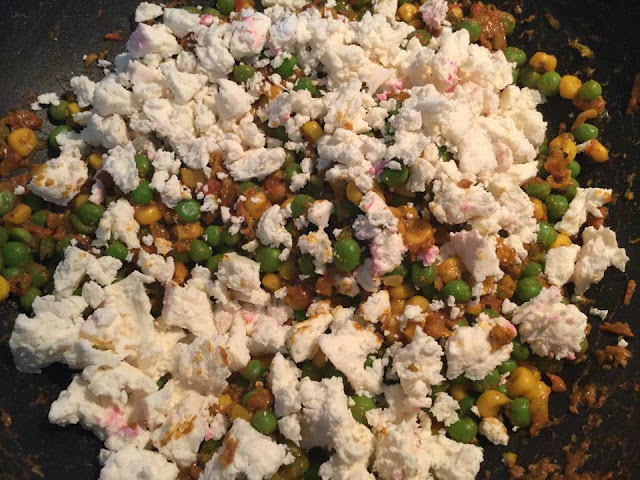 Add the paneer mixture in the center. Fold the chilla. Let is rest for 30 seconds. Take it off the tawa. Serve them hot as it is. It is a very fulfilling dish and can be had as a main-course meal. 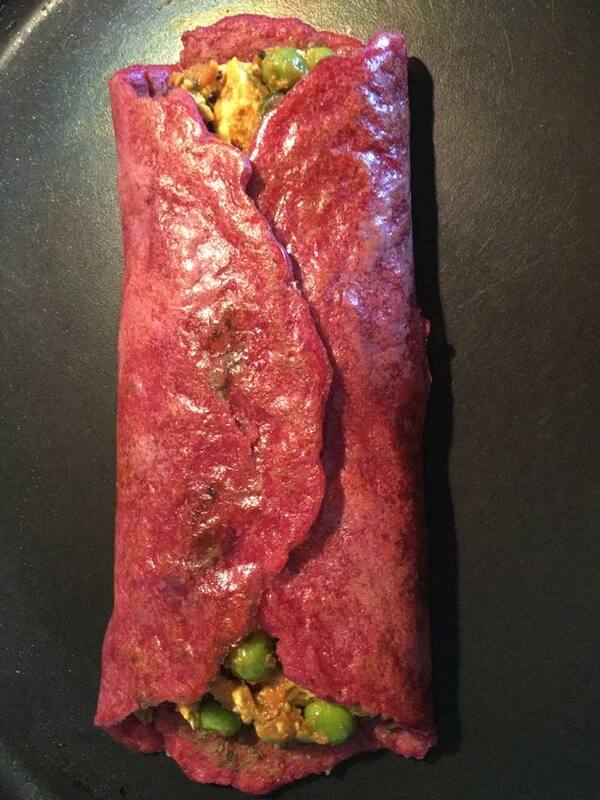 The stuffing makes it even more nutritious.